May was such a fabulous month! As only my second month in the book blogging world, I felt quite accomplished. I'm taking it slow. Learning as much as I can from those around me and putting out my feelers to what my particular niche is, but I'm loving every minute of it! Thanks to all who supported me! I hit 150 followers this month! Thank you again from the bottom of my heart all who have come by and decided to follow the madness :). I appreciate you more than you know! That's it for now! This was a fabulous month and I think June will be even better! Isn't it mysterious and lovely? The lavender eye really drew me in. I will honestly say that the premise of the story itself is fantastic. I was drawn in by the realism that was put forth in the first few pages of the book. Following Katherine through her grief after the death of her sister felt real enough. The unexpected twists and turns also do a great job of keeping the reader involved. The way that the timeline jumps back and forth from past to present was intriguing and kept me reading on. Unfortunately the plot was very slow in the beginning, and that kind of put me off. The characters in this story just felt flat to me. One-dimensional. I never really felt invested in any of them, and I was sad that I didn't feel more emotional when bad things happened. Quite the contrary, I was happy when these things happened because it caused the story to speed ahead. 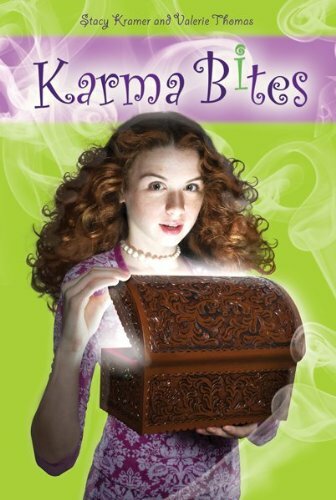 Katherine (Katie) Patterson (Boydell) just never struck me as someone who I wanted to connect with. To be completely honest, I was frustrated by Katherine's inability to cope. Yes, I know she is young in this book. I understood that. However the initial sympathy I felt for her was soon replaced by annoyance. I loved Robbie, but I kept wishing he didn't act like such a door mat. In fact, the one character I felt the most for in this story was Alice. Despite her evil exterior, I think she was probably the most well-written character. Final thoughts? I really wish I could have connected with this book more. There was so much potential for it to be a great story, and I was saddened that it fell a bit flat. I can say that it reminded me of another book I read not too long ago called God-Shaped Hole. 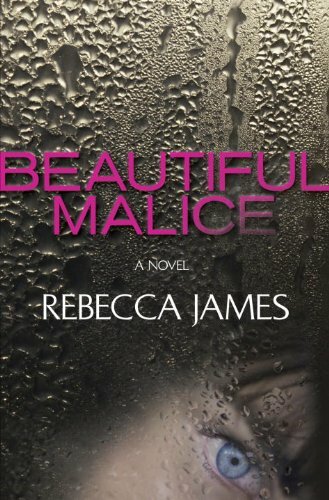 If you've read Beautiful Malice and enjoyed it, try God-Shaped Hole as well! It's a bit more graphic at times, as it is an adult novel, but it's really well written and very touching. Also received some great e-books this week! I'm getting more and more comfortable reading them without an e-reader, but I admit I'm kind of leaning towards buying one now! Fabulous fabulous week! Thanks for stopping by. This is what was in my mailbox, what was in yours? 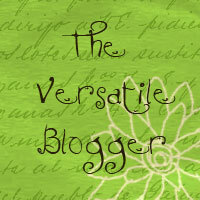 :) If you stop by from another blog, leave me a link and I'll visit! You, yes you! Thanks for stopping by my humble blog my new readers, and thanks so much for deciding to stay as my follower. Yup, I know I thank you all a lot. However it's because I want you to truly know how much I appreciate you! Blogging for me is all about sharing my love of books. When my readers go up, I feel affirmed that I am doing that effectively and that makes me feel good. I blog, because you read. Can I please say that all your comments make me smile so much? It's true. I need to do a big giveaway! However my resources are tapped out for the moment so here's what I'm thinking. My birthday is in July, so I think I'll make July my big giveaway month. That way we can celebrate whatever number follower I'm at then AND my birthday! Yay! Oops. This was supposed to be a quick post. So I'll leave you be. Thanks again! On My Wishlist is a weekly feature run by the great book blog, Book Chick City. To learn more about this meme, get the details here. I actually just discovered this book yesterday! Elizabeth started following me on Twitter, and I go through my new contacts at least once a week or so to see who I'd like to follow back. When I found out that she was an author well...of course I had to find out what book she had written! Off I went, and stumbled upon this. It sounds so amazing! 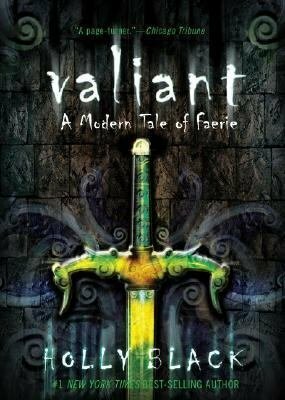 As a lover of all things fantasy I am constantly on the lookout for new books :). After reading the synopsis I have decided that this book must definitely be mine! This is what's on my wishlist! What's on yours? It's time for the big event! Yes, I know you have all been waiting anxiously to get your hands on a copy of Seers of Light haven't you? I can't blame you! It's fabulous! I urge you, even if you don't win this giveaway...go read this book. For only $4.99 you can buy an e-book copy. So why not? You will love it! Okay so I really wanted to make this International. I think my International readers are superb and they deserve nifty stuff too! However, shipping is so expensive. So here's what I've decided. 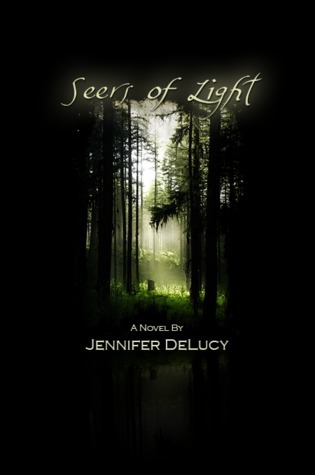 If you are in the U.S. or Canada your prize will be a copy of Seers of Light, purchased by me and mailed straight to you! I will be purchasing it through Amazon.com (still through Omnific Publishing) and entering your mailing address for shipping. 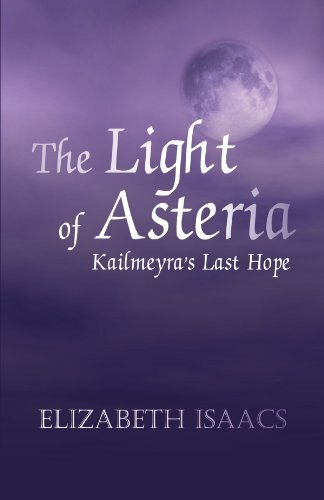 If you are outside the U.S. and Canada your prize will be an email gift card worth $15 to Amazon.com so that you can purchase your own copy of Seers of Light! This will pay for your book, all you have to pay for is shipping :). Sound good? Huzzah! Giveaway entries will be accepted until June 13, 2010. A bit more about Ms. DeLucy + Guest Post! Can I say I love this picture? Okay, I'll say it. I LOVE THIS PICTURE! I was born in Northern Pennsylvania, where I developed an obsession with all things literary and musical thanks to the influence of an extremely creative family. Before moving to the Midwest to study English in 2002, I trained in vocal performance and had my first taste of literary work as an editor for a local social organization. Today, I work for the University of Missouri and as an author and Developmental Editor for Omnific Publishing. And now...a bit of musing from this lovely lady. You know, I always have such a hard time figuring out what to write for a guest blog, so I thought to myself, "Self... what would you talk to readers about in person?" And then I remembered some of the points that had circled around in my head incessantly during the time right after I'd finished writing Seers of Light. Among these points was the need for a strong female character, along with an evolved male personality. Let me explain. But first, I'll warn that this post contains some spoilers that are consequential to getting the message across. I wrote Seers of Light with an agenda, though I didn't realize this in the beginning. It's just that, in my heart, I had these very strong emotions about women, about men, about the dynamic of love, and it was incredibly important that I solidified these values not only in the reader's minds, but in my own, as well. The character of Lillian Hunt is my way of empowering women without expecting perfection. You see, Lily was flawed, she was scared as often as she was brave, and she wore her heart on her sleeve--which is a frightening thing to do in this world. And she was also clueless about so many things... most especially, her own strength. This is where William came in. A lot of people aren't sure what to make of William, at first. He doesn't seem like the knight in shining armor kind of guy. (That would be Christian's role.) But William has a kind of wisdom that only comes with a combination of age and suffering, and so he knows that strength lies in a quieter place, a more controlled place. He also realizes that demonstrations of physical power have a time and place, and that anger for the sake of anger is a waste of energy. So, he is patient, but more than that, he is willing to stand back and allow his student (Lily) to find her own way, to discover her own courage. He recognizes that she has her own destiny to follow, and that he would only be cheating her of valuable growth by carrying her down the path. It's easy for the impetuous hero to swoop in and slay the dragon. That kind of rescuing appeals to the ego most powerfully. But, that's not what Lily needed. And I don't believe that a dragon slaying prince is the answer for any of us--at least, it's not for me. Yes, I'm good with an act of valiance when it's really called for, but how often do we confuse "called for" with "expected?" To me, the love story in Seers (and any consequent books) is extremely symbolic. These stories are my way of saying, be the hero of your own life, and everything else will fall into place. Thank you thank you Jen for your lovely post! I could talk about Jennifer DeLucy until I was blue in the face and it would still not explain how amazing she is :). She's humble too though, so if you tell her she's amazing, she'll just tell you right back! If you haven't given Seers of Light a chance after all this, well, you are one tough cookie my friend. To make it even easier for you. Here's some links! Find Jennifer here, here, oh and here. Guest Post + a Giveaway! The lovely Jenn at Books at Midnight offered me a spot on her blog as a guest poster, so of course I took it! Go on over, read my post, and enter to win something special :). Recommended to: Readers looking for a book with vivid characters and a very likable female protagonist. My head is still reeling from re-reading this book (yes I said re-reading) and so I'll write in as logical a fashion as I can! I promise not to ramble too badly. Seers of Light is truly beautiful. Honestly if I could only describe it in one word, that would be it: beautiful. Jennifer has crafted a world where everything is completely different, and yet so enticing. Seers of Light is a story that will stay with you long after you turn the last page, and you will find yourself sighing at the fact that there is no more left to read. Remember that I have said many times before that characters are my thing? If the characters are great, I am invested in the story. On that note, I find the need to applaud Jennifer for her character development of epic proportions! I loved EVERY character, down to the smallest supporting ones. The fact that I still remember Mrs. Bridget Cavanaugh who makes but a brief, albeit very memorable, visit into the story amazes me! Truly, the characters of Seers pop off the page with their unique personalities! Interjection here to say that I adore Lily. She is the perfect example of a strong female protagonist and I am in awe of her. Pair that with interactions with sweet, stubborn Christian and deliciously snarky William and you have one amazing storyline! Able to make you laugh out loud at one point, and make your toes curl in delight at another? Jennifer, you are a masterful writer. Emotion is also a very important piece of loving a book for me. Reading this story was emotionally exhausting in the best way possible. Bristling with anger and annoyance, tearing up at touching moments, feeling empathy in the highest degree, I never felt that there was a dull moment. In fact, I found myself wanting to read well past the bookmarks I had set for myself so that I wouldn't stay up too late! Reading past midnight although you know you have to be up early the next morning? That is a good story. There are so many other things I could say about how amazing this book is! However then I would be rambling and you would probably all just shake your head and walk away. I do not exaggerate my friends when I say that this is one of my absolute new favorite books. After purchasing and reading this in e-book format, I now know that I must own a bound copy. Stat. Give this a read! If you enjoy emotional roller coasters, love triangles, some of the deepest and most beautiful love imaginable...and the list goes on, you'll fall in love with this book too! Oh you came back and you brought friends! I love logging on in the morning and seeing some new people who have decided to subscribe the madness that is my blog :). If you could see me right now I am waving madly at you all! Yes...I realize you can't see me. Still, the thought was there! Enough about me though, let's get to know a bit more about the lovely Ms. DeLucy shall we? 1) What inspired you to write Seers of Light? A couple of things. First, the winter that I began the book was a tough one as far as losing loved ones, and the book seemed like a way to put all of my beliefs into context. That kind of leads to the next reason. Over the last several years, I'd read a lot about various spiritual paths and idealogies. And the stories that moved me most enthusiastically were those of near death experiences. I went through this extensive learning spree where I couldn't read enough about them. I think NDE's fascinated me so much because they were recounted by people from all walks of life, all points in history, and yet they shared so many commonisms. The similarities were stunning--and more than that, the message was always the same. It's all going to be okay. Everything has a purpose. We choose this life, and the path is exactly perfect to our needs. Love is the reason for everything, and as long as we act from it, things will work out in the end. And the last reason, I love ghosts! I love psychological horror and everything that bumps and moans and clatters in the night. So, Seers of Light came of all that. 2) Can you share with us how it felt to be published? Honestly, it felt right. It was exactly what I'd been working and hoping for, so I was oddly calm. I knew I needed to be doing this, expressing myself this way, so, it felt natural. 3) Do you have a favorite part of Seers? Ideally, I love to write outdoors in the sun, but that's not always possible. So, second and more commonly, in bed. Classical: Charlotte Bronte. Current: J.K. Rowling. 6) Chocolate candy vs. fruit flavored candy....what does Jennifer DeLucy like? 7) Where do you go when you need inspiration? Nature, nature, nature! Walking local trails is so helpful. Being around lots of trees and water seems to refill whatever motivation I lose over time. Also, listening to music is incredibly important, too, since my second love is composing and singing. I have ever-growing playlists for everthing I write. It's essential. 8) What are you working on now? Can you tell us anything about it? 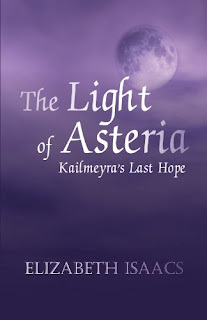 I'm working on the sequel to Seers of Light, and it's a continuation of Christian's story. I can't reveal who the main protagonist is (female) yet, but I can give you a hint. She's mentioned by one of Wendell's Sentients in the second half of the first book. Thank you again Jennifer so taking the time to answer all my questions! Seriously my friends, she really is an amazing person. 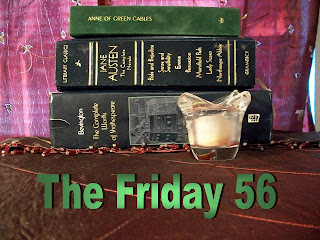 If you are just joining us here at A Fanatic's Book Blog, take some time to check out the Intro Post to see the rest of the festivities planned this week! Tomorrow, stop back by for a review of Jennifer's book, Seers of Light. 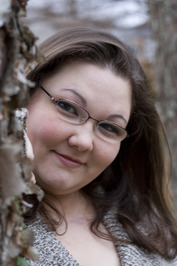 Yes my friends, it's Jennifer DeLucy week here on A Fanatic's Book Blog! 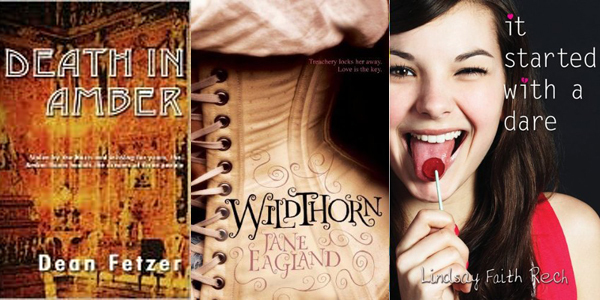 Ever since I met this lovely lady on Goodreads, I knew I had to dedicate a week to her :). She's sweet, she's funny, she one of the most helpful people I've ever met! Top that off with the fact that she is a completely FABULOUS author...well you have one great lady! In the spirit of an author week, this will be an intro post, where I break the rest of the week down for you. Friday 5/28 - Seers of Light GIVEAWAY! So there you have it! Stick around all week to see what goodies pop up! The giveaway is what I am most excited about, as everyone needs to read Jennifer's book. Truly. Thank you thank you to Housewife Blues and Chihuahua Stories for this amazing award! Seven things about myself hmmmm? Okay! 1. I LOVE video games. Bordering on obsession, I play at least 10 to 15 hours of video games a week. On breaks...even more. RPG's (including but not limited to Final Fantasy) are my favorite! 2. I own my own Etsy store that I put all my crochet items in! That is how I spend the remainder of my time that I'm not reading or playing video games. 3. My teddy bear collection is quite large. 4. My teddy bear collection is quite large BECAUSE dolls creep me out. Their eyes are way too real...ha. 5. Despite my age (25 to be exact) I still adore cartoons! 6. Red is my absolute favorite color of all time! 7. My mom is my best friend. Really. I don't just say that. She's always been the one I go to when I feel down or upset :). She's awesome! Now to pass this on to 15 bloggers that I've recently found! Parisian teenager Lou has an IQ of 160, OCD tendencies, and a mother who has suffered from depression for years. But Lou is about to change her life—and that of her parents—all because of a school project about homeless teens. While doing research, Lou meets No, a teenage girl living on the streets. As their friendship grows, Lou bravely asks her parents if No can live with them, and is astonished when they agree. No's presence forces Lou's family to come to terms with a secret tragedy. But can this shaky, newfound family continue to live together when No's own past comes back to haunt her? I absolutely adore the colors on this cover. The red shoes just pop! Lou is SMART. I'm impressed! Lou Bertignac comes up with a project on homelessness simply to appease her teacher. She doesn't want to do a presentation. In fact she hates being in front of a group. Who was she to know that this decision would affect the entire rest of her life? Lou meets No at a train station and they begin a very tentative relationship with one another. No is 18 years old, five years older than Lou, and is a part of the homeless community. As their relationship progresses into more of a friendship, each girl is given a glimpse at the other's life through what they share with one another. 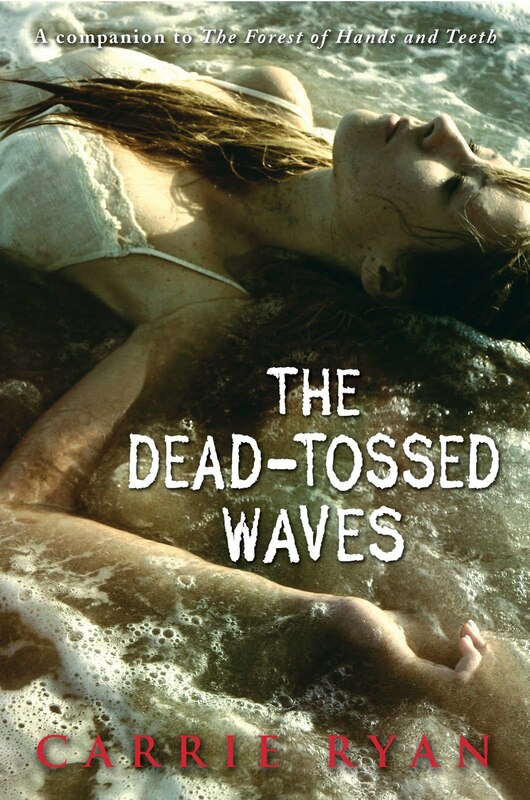 What I really enjoyed about this story was Lou, the main character. Lou was a sweet, intelligent and socially awkward girl when the story began and it kind of reminded me of myself at her age. Shying away from the boys, keeping to herself, making sure she stayed off the radar to keep others from talking about her. I really loved Lou's character. As Lou progresses through the book, her eyes are opened by No's predicament. No becomes less of a project to Lou, and more of a mission. It is endearing to see the need that buds between these two. They become part of one another. Unfortunately I can't elaborate too much more without spoiling the story, but I will say that this book is worth a read. If you are worried that you might not enjoy this book, I can say that is a fairly short read. Give it a try, you might love it! Another set of great books this week! I was really excited! There's nothing like coming home to a new package and tearing into it :). My stack of books is getting near ridiculous, so I've cut back on my library visits for a while. I want to finish all the books I actually own so that they can take their rightful place on my bookshelves :). Thanks for stopping by! 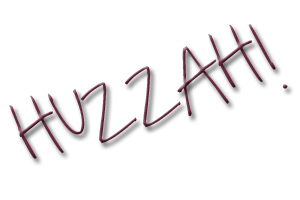 If you have an IMM post on your blog today, leave me a link and I'll go visit! Increasingly Saturdays seem to be a difficult day for me to post :). I suppose that's a good thing because it means I have lots of fun things to do! I'll try to schedule my posts from now on ahead of time, but if I miss a Saturday don't you fret! I'll be back on Sunday! Check back tomorrow for a review of No and Me by Delphine De Vigan! Deena had regained consciousness earlier in the day. She managed to sit up and eat some stew with the rest of the group, then after Ms. Pap had gone, they filled her in on the events of the past couple of days. Wait, wait. Hold still! Let me take a picture of all of you! I am still in shock, and mostly in awe, that there are over 100 of you following my blog! 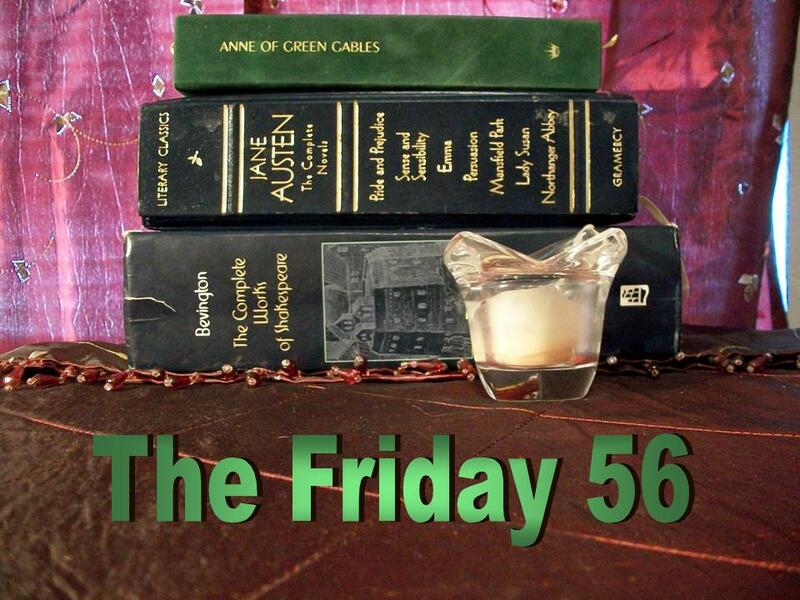 A Fanatic's Book Blog will be officially five weeks old as of this coming Sunday. Crazy right? HI and welcome to the madness that is my book ramblings! It never ceases to make me feel special that people want to read what I have to say. In all the time I've been blogging (and it's been a WHILE) I've always been so touched when people started to follow me. Am I the only one? Isn't it nice to know that you write something people actually want to read? Well heck, it makes me feel great! So a super huge thank you to all of you! I want to do a really big giveaway but I can't just yet. My Tyger, Tyger giveaway took the rest of my monthly giveaway budget, so I'll have to wait until next month. Stick with me though! Next month I'll host a big giveaway and if we reach 150 before then I'll make it even bigger! Big hugs ya'll. Just know you made my month! 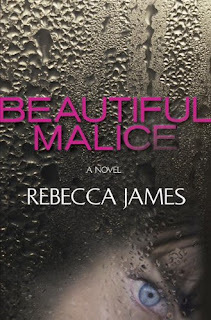 Recommended to: Readers who love drama and are okay with taboo romances in their reading. 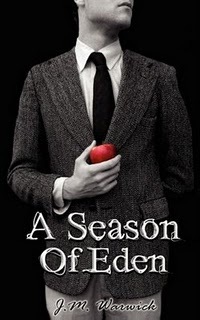 A Season of Eden is such an aptly named book. We meet Eden, the gorgeous and popular girl in school. She has the hunk boyfriend, the loyal group of friends, and of course the admiration of all who gaze upon her. 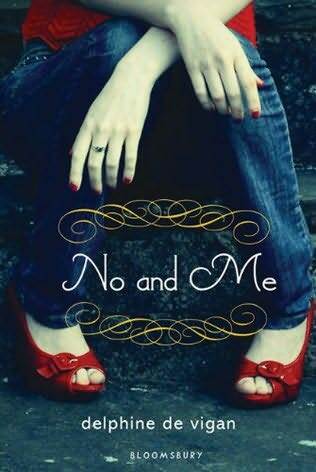 Eden is a girl who is used to getting exactly what she wants, and what she wants is the new choral teacher Mr. Christian. I can't say too much more without spoilers so I will end it here! If you love romance or novels about change, this is a book for you. This book is well worth the read. Much like the first cover, it's striking and simple. I love it! Pure, unadulterated love. That is all. Everything I loved about The Hunger Games reappears in this sequel. Katniss, Peeta, Gale, nonstop action and cliffhangers. These books are just amazing! This is the only book I've ever read that I can honestly say that I didn't want to finish. Why you ask? I knew once it was over I would have to wait an agonizing amount of time for Mockingjay to finish out the story for me! Oh Katniss, what will happen to you? 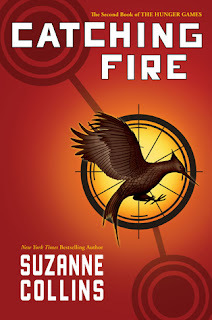 Catching Fire is a perfect mixture of action, survival, and just enough love thrown in. Each time I open one of these books I find myself IN the Hunger Games. 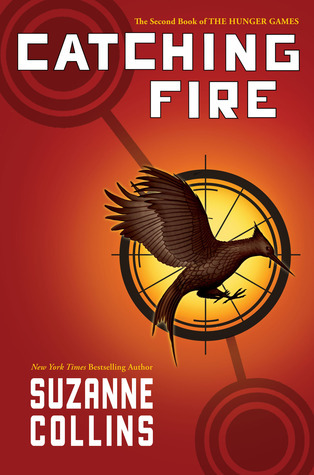 Suzanne Collins knows how to write so descriptively, that you feel like you are fighting for your life too! Again, this is one of the few stories I can say I've genuinely felt angry, betrayed and sad over. The amount of emotions I felt while reading was so refreshing. Suzanne Collins is the master of the moving plot. There has never been a time in either of her books that I was bored or felt like things were dragging. She knows exactly how much to give you, dangling it on a string in front of you so you will keep following along. Did I mention Mockingjay is so far away? To end this: I love these books. Plain and simple. Trilogy in hardcover you shall be mine! Okay I'll admit it now, I'm a video game nerd. HUGELY so. I love them! When I first read the synopsis for this book I thought, hey, sounds kind of like Silent Hill! Which I so love by the way. Those games have an amazing creepiness factor to them that will make you cringe trying to play them at night. 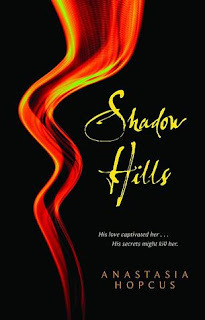 Shadow Hills sounds amazing! Bonus? I just got accepted to an ARC Tour so looks like I will get to read it early! YAY! I can't wait! I haven't read an "adult" novel in a while. By that I mean one that isn't classified as YA, because I still think most YA novels SHOULD be read by adults...but I digress. I decided to give this one a try because I'm trying to step out of my comfort box when it comes to reading. It was interesting to see life through Billie's eyes. Growing up in the South in the 1900's, she has to fend for herself often. If graphic descriptions of bodily functions and sexual exploits bother you, this may not be a book for you. However I can honestly say that I found it a necessary part of the novel. How else would Billie learn about her body than through self exploration? It isn't as though there were sexual education classes in her lifetime. In a way, it does make sense. This story is just so dark. I completely understand why, since Billie's life is never easy, but it is a challenging read. A big part of this book is euthanasia which can be uncomfortable at times. Billie learns at an early age about "killing for mercy" and doesn't seem at odds with it in the least. The reader will soon realize that Billie never catches a break in this story. Each time something devastating happens you hope for the best, but it just never seems to make a difference. I was impressed with Billie's ability to just accept her fate and move on. Put in her shoes, I would be quite a mess. My biggest issue with this story was how mundane it is at times. Granted we are following a character through her day to day life, but I feel as if there could have been more character development during these times. There were portions of the story that just lagged. I also never really felt that I knew Billie and her counterparts, even as I was turning the last page. Good writing, difficult story material, okay characters. With all that combined, this book falls into my "just okay" list. I didn't care what he thought of me showing up early. Since Saturday I felt alive inside in a way I never had before, my whole body magnetically drawn to the music room. This book is really intriguing so far! I'm loving that it's set in the area I live. I keep getting the references and celebrating my own little inside jokes :). I'm glad I decided to give this book a try! So yesterday was the Pride Parade which is why I didn't post! In Long Beach this is a BIG day, complete with a parade and an all day festival! Congratulations to Kirthi from Pages, the lucky winner of The Unwritten Rule by Elizabeth Scott! An email is on it's way to you! 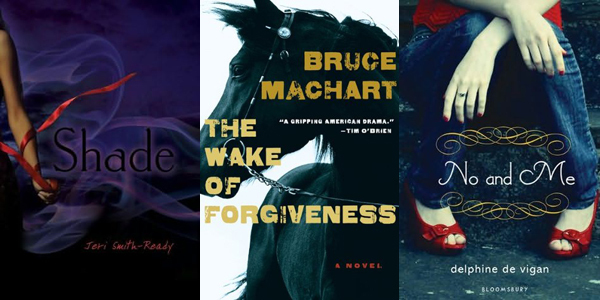 This was a great week for books! I bought some, received some for review, and of course did my weekly library visit! I cannot wait to dive right in. I saw this on the rack at Best Buy (yes weird I know) and it was on sale for $9! I batted my eyelashes and my fabulous boyfriend purchased this for me. YAY! I love Rick Riordan oh yes I do! I finally got a copy of this! Excited! Swapped through Goodreads so that I could use my free book credit and this is waiting happily on my TBR pile for me! Received this through Around the World Tours and I cannot wait to read it! 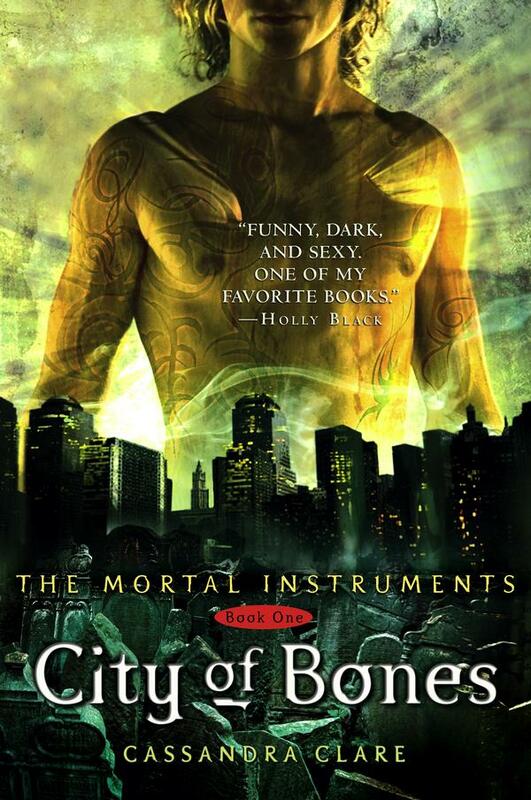 Am I the only one who thinks this cover is lovely? This book looks lovely and sounds amazing! I received the galley through NetGalley for this one, so you can go and snag a review copy too if you're interested! 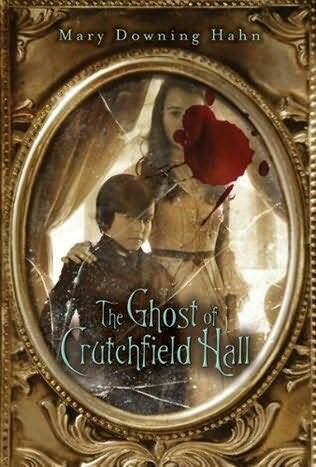 Also from NetGalley, I am so totally in love with this cover! That alone makes me want to read this book so much. I can't wait! After I read Tithe I felt a little like I missed out on something. I decided that maybe I didn't get as into the first book as I should have so I made up my mind to read the second one! 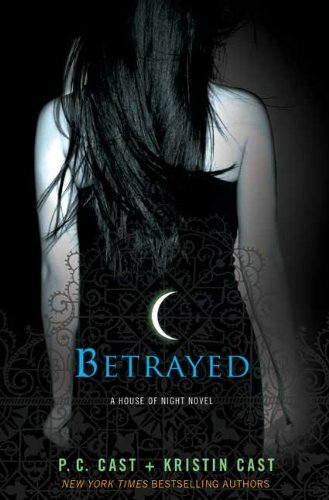 This book sounded creepy and people on Goodreads have been raving! Yup, it had to be mine this week. I was a little less than impressed with The Forest of Hands and Teeth and felt a little wary about reading this book. However I've been reassured that this one is actually more interesting, so I decided to give it a try! I've never been one to judge a book without at least reading the first 50 pages. So yeah...I admit it. Despite my annoyances with Marked I am really intrigued by the story! It was never about the story being bad, no the story is great. It's the writing that was getting to me. Still, I'm giving book two a chance! Perhaps I'll get further hooked :). That's it for me this week! It's nice to be able to keep track of what I've gotten and what is still to be read! I finished a few more books before this weekend so check back for the reviews and also don't forget to enter the Tyger, Tyger Giveaway! Tyger, Tyger - The Giveaway! Disqus and a big THANK YOU! NetGalley - The Future of the ARC? The Unwritten Rule - Giveaway!